These pics were sent to me by my friend, Susan Hormuth from a trip she took on the Eastern Shore in April of 1980. I’ll get text up later today. 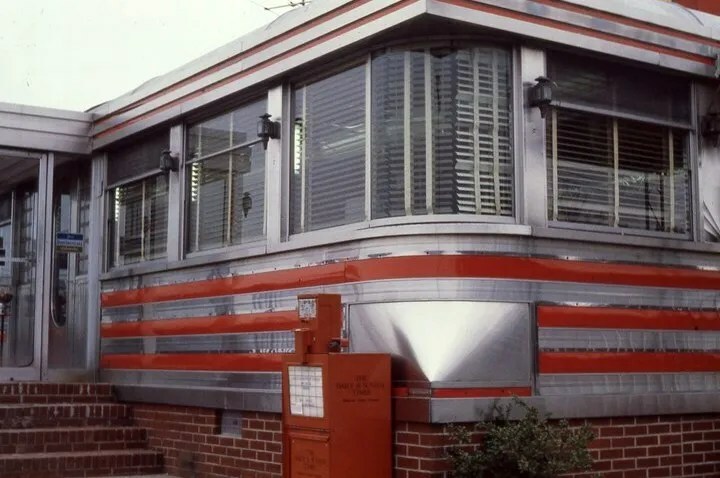 Tom’s Diner. Route 50?- Easton, MD. 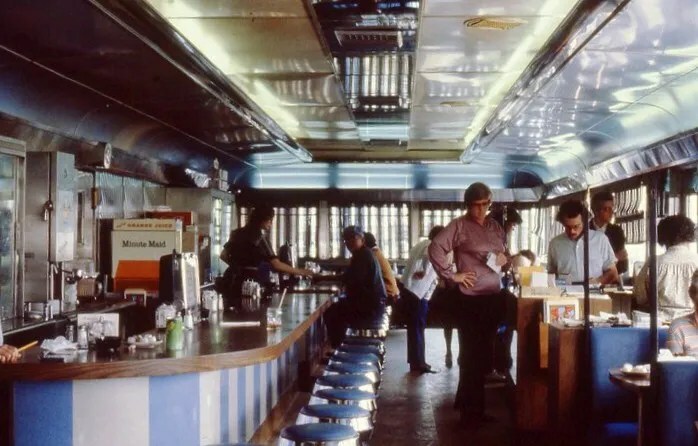 Here are some more pictures, taken by Larry Cultrera, of Tom’s, taken about a year after these. Larry’s pictures are the only reference I can find to this one. I assume it must have closed a while ago for that to be the case. I’ve tried locating the site by looking for the radio towers shown in the background. Rt 50 splits- 50 goes to the East of Easton, 322 (the Easton Parkway) goes to the west. The WEMD radio towers off the Easton parkway seem to look about the same, but the area has grown- all suburban houses and big box stores. If this is the right area, there’s no trace. How about that groovy plastic sign over the vestibule? And the freestanding neon’s pretty spectacular. Green flexglas, stacked roof. Double-wide with factory kitchen and dining room. We think this Mountain View was somewhere between Salisbury and Assateague Island. The newspaper box is for a Delaware newspaper, but that would fit that location. 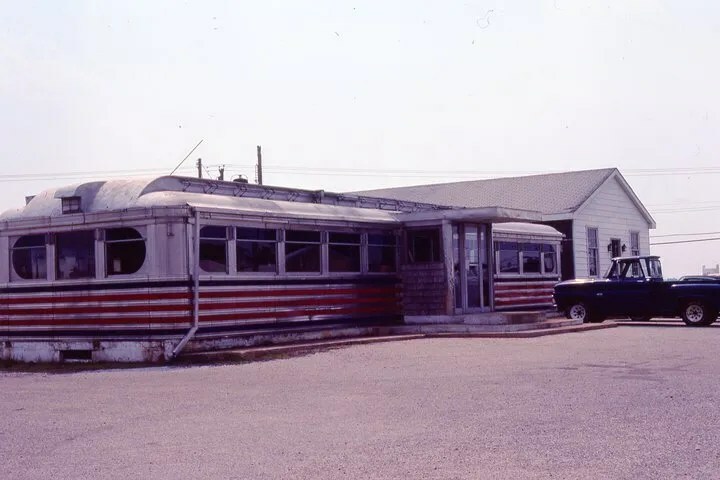 Diner in Bridgeville, DE. It’s still there and looks to be in about the same shape as it was then. Here’s a picture taken two days ago by Randy Garbin. 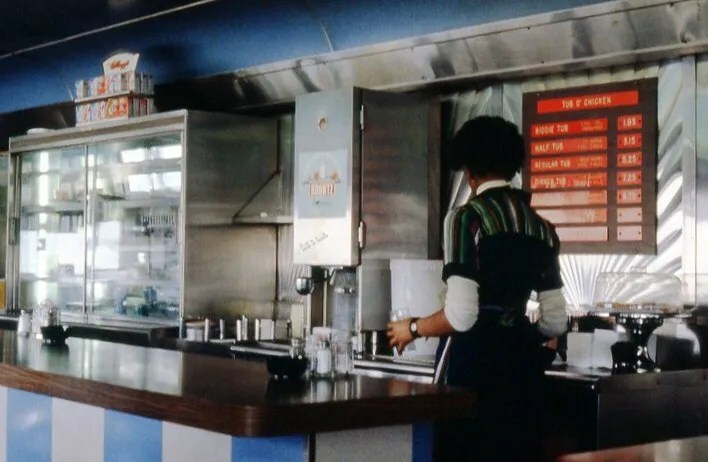 Here’s a post, with interior pictures, from when it was still operating back in 2005. It’s currently for sale. Call 302-628-8467. Here’s a shot of what it looked like when it closed. 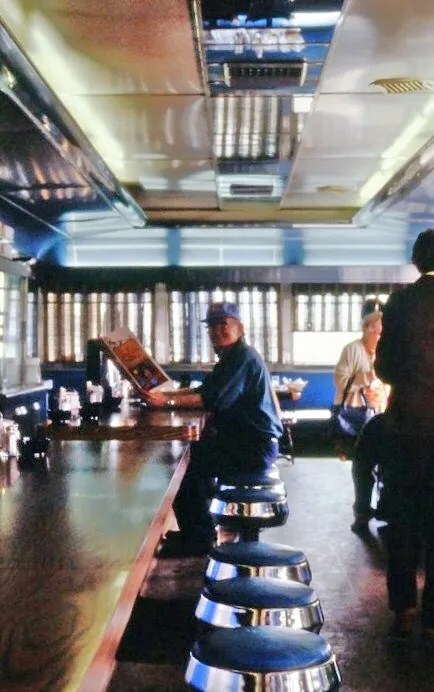 I’m not positive which diner these interior shots go with. Anyone recognize it? Want to hazard a guess based on manufacturer and size? 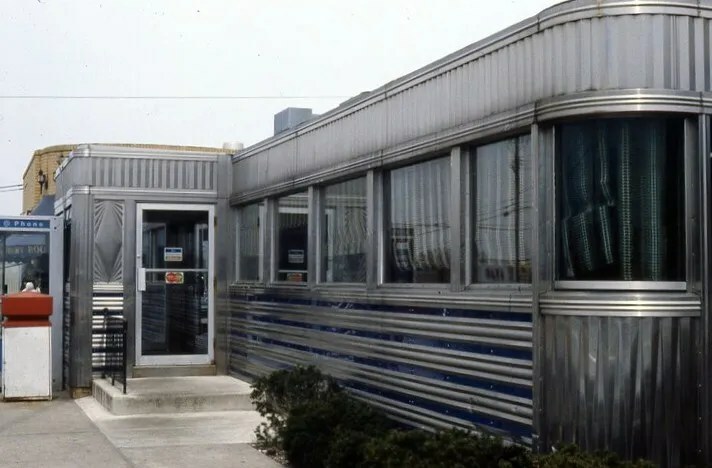 This entry was posted in Diners / roadside related, Diners/ restaurants and tagged Abandoned, Bridgeville, DE, Delaware, diner, Easton, English Diner, Hollywood Diner, Maryland, MD, Rt. 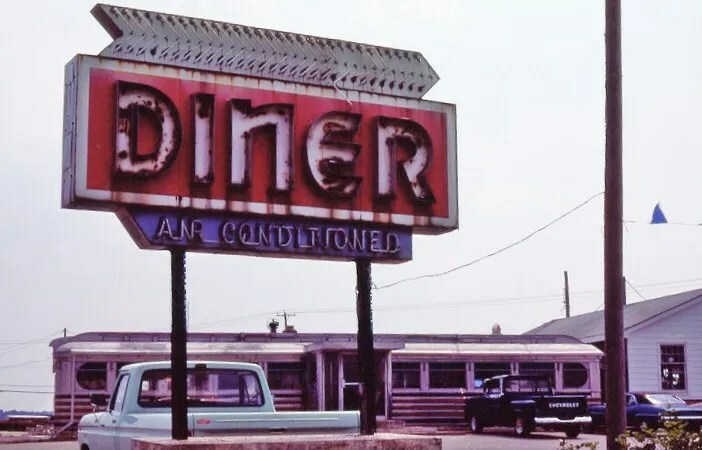 50, Salisbury, Tom's Diner by Spencer Stewart. Bookmark the permalink. 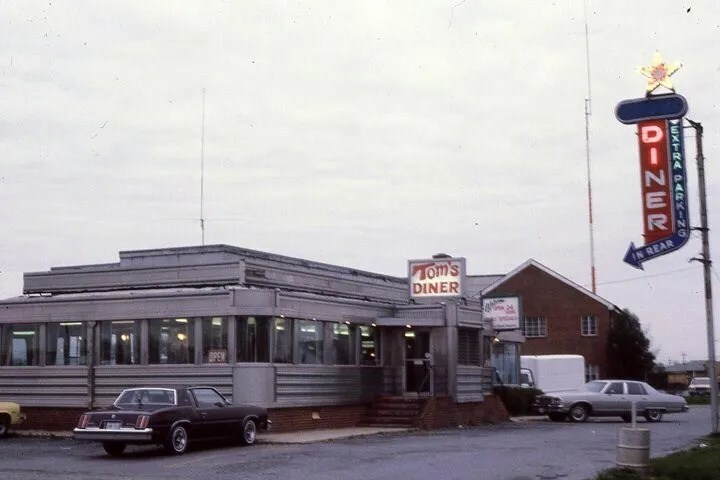 Tom’s Diner in Easton was located on Rt 50. 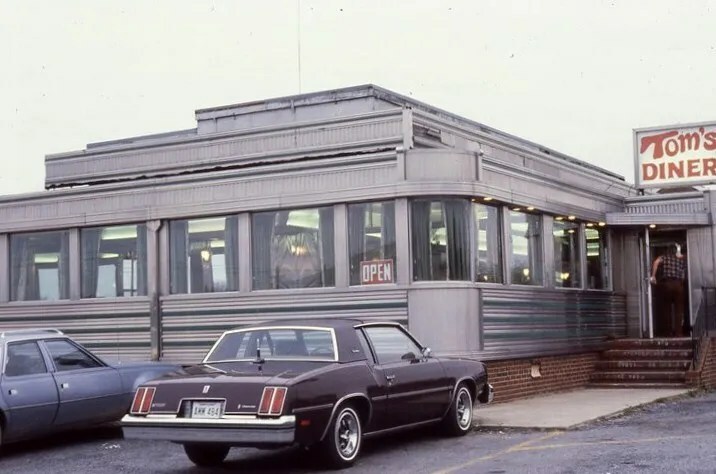 The diner was moved about 1982 or so and a Wndy’s restaurant was constructed on the site and still is in operation at present. The radio towers visible are part of the State Highway Adm. facility…. When you say (south end) would that be what was known as English Grill #2? I’m looking for info on it. My Mom worked there for many years in her younger days.